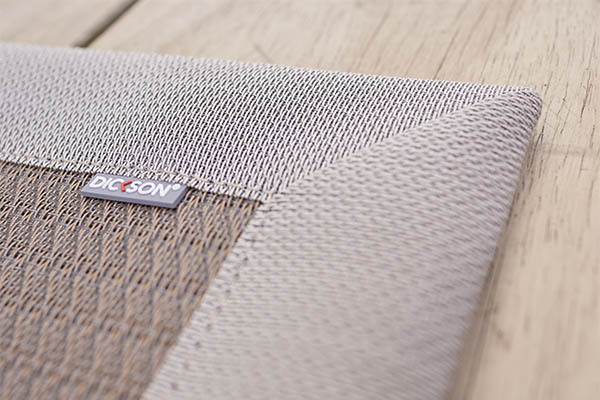 Although Dickson® rugs have relief patterns that give them a unique design, the materials used ensure excellent liquid impermeability, and protect against dust and dirt. Before laying the rug, make sure that the surface is clean and dry. We recommend using the rug on a flat surface. Discoloration may occur in contact with rubber materials. 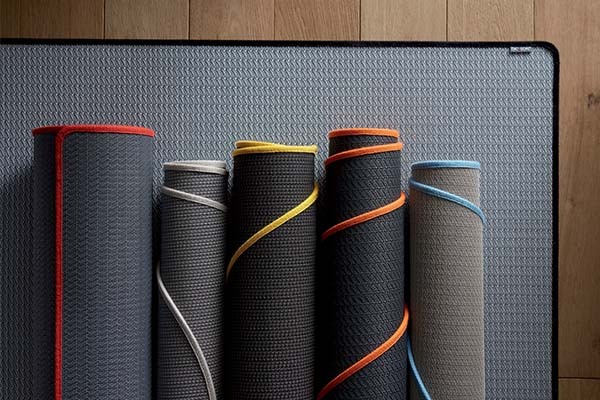 When storing, make sure to roll the rug lengthwise, with the woven side facing outwards to avoid distorting the corners. Be careful not to bend the mat to avoid marking. Remember to maintain your rug regularly to make it last longer. Vacuum your rug regularly for optimal dust removal. Brush your carpet with a broom. Dilute a neutral detergent in warm water to wash your rug. Let it work for a few moments, rinse with clean water and dry with a soft microfiber-type fabric. A high-pressure cleaner may be used to clean our rugs. However, only clean the inside of the rug and avoid the cable cords to protect the acrylic finish.